The F-150 has always been hailed as the most popular truck, period. So popular in fact that it remains to this day the most sold vehicle in the United States, and has held that title for many decades. 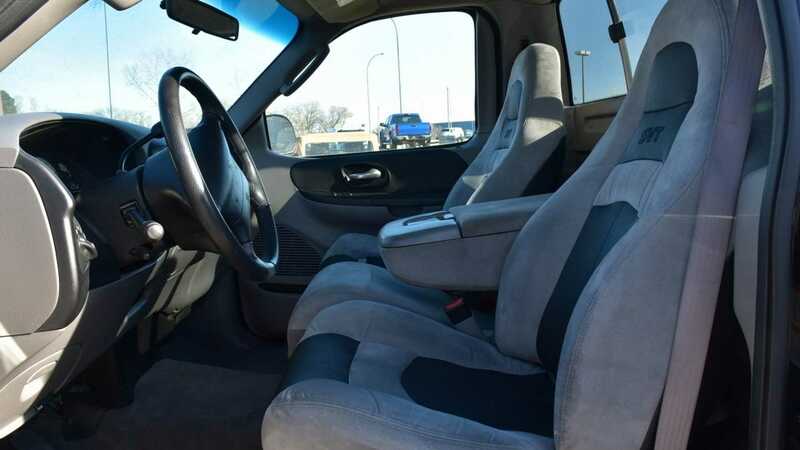 Despite its transformation over the years into a genuine consumer good as opposed to a strictly commercial enterprise, the F-150 made its way into the family homes of hundreds of thousands across the country. For its 45th anniversary, Ford wanted to do something special, and it nailed it. When you think of anniversary models, most people conjure ideas of a vinyl set, or if the manufacturer is feeling particularly zesty, maybe even some stitching into a headrest. So this is exactly what Ford did. Wrong. They added all that jazz whilst also transplanting a 5.8 liter V8 with the cylinder head from a GT40. Yes, an actual Ford GT40 cylinder head. They tuned the suspension, widened its track, lowered it on some sporty springs and with a clap of thunder called it the Lightning from the Special Vehicle Team, more commonly known as SVT. We loved it when it landed back in 1993, and Ford took note. We loved it because the world's most influential car company had clearly indulged in a lot of debauchery with upper management to convince them this was something the world needed. A pick up truck which could lap a circuit quicker than the Mustang GT of the time, as well as tow up to 8400 pounds. Fast forward to the next generation F-150 and they knew they had to bring the Lightning back. In 1999 it was back, and despite a slight drop in displacement it was one deranged animal. 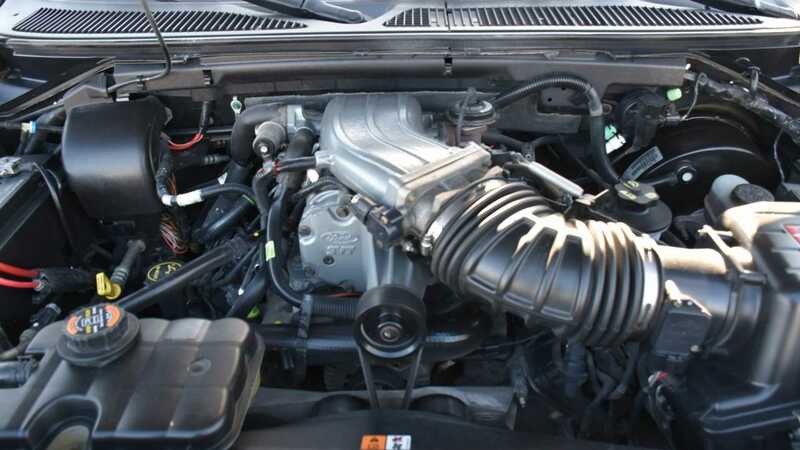 A 5.4 liter V8 up front with a whacking great supercharger strapped to it resulted in some of the most demonic noises to ever come from an internal combustion engine. With a whine so loud that everytime you planted it, the sound of a Boeing 747 erupted from under the hood as it rose several feet whilst the rear end glued itself to the asphalt. In 2001 it received some even crazier treatment, with the engine being dropped in from the Mustang Cobra SVT producing 380 horsepower. 60 miles per hour came and went in just 5.8 seconds. Some may know this powerplant from the 2005 Ford GT, a car known to be capable of over 2000 horsepower with heavy modifications. Yikes. The car featured here is the last of the line, a 2004 model. Featured in black it looks pure evil, with the classic twin tipped tailpipes poking out of the side below those insane flares. With 102,000 kilometres is clearly has some dance left in it and could be yours for just $27,888. 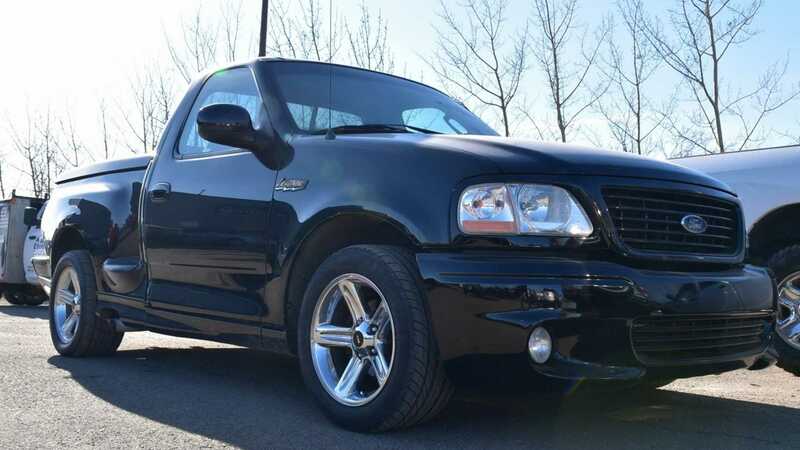 For more information on this Ford Lightning visit the Motorious classifieds.